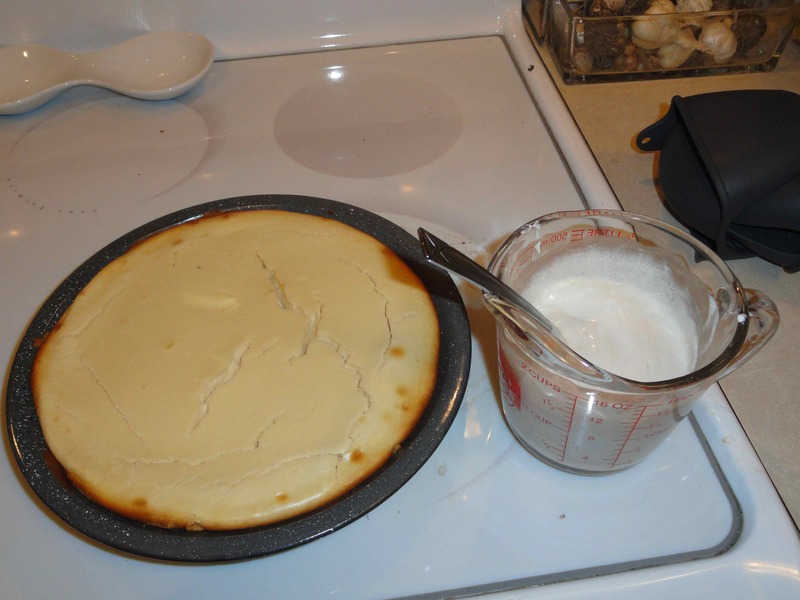 So today I thought I would share my cheesecake recipe. Sure-fire way to pack on the pounds but oh-so-delish. 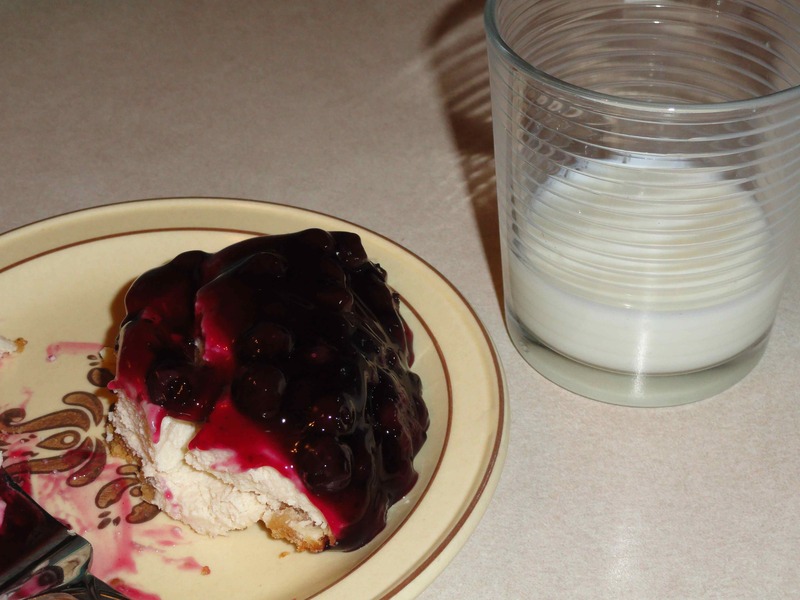 After many attempts, this is my husband’s all-time favorite cheesecake. And that man knows his cheesecake! He will tell me more vanilla, less cream cheese, more fruit, or whatever tweak it needs, and he’s usually right. 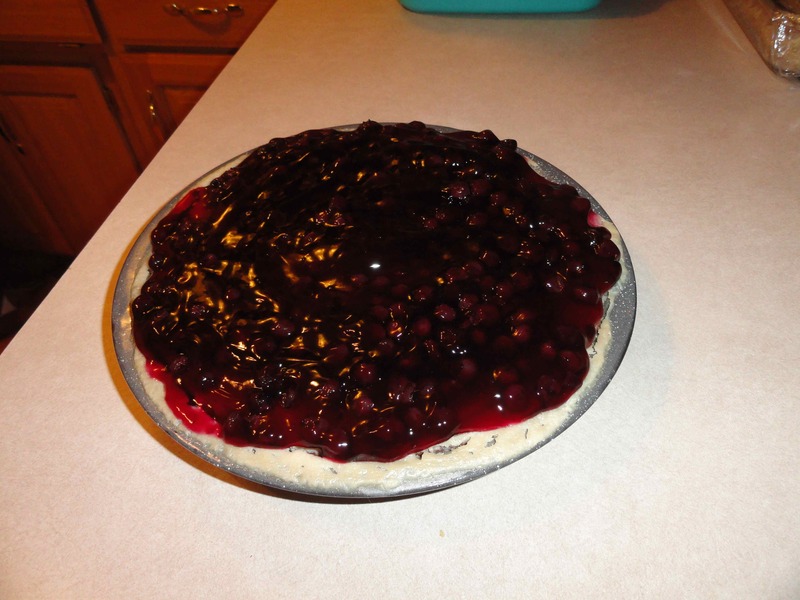 It makes two reasonable sized 8-inch pies or one really overstuffed 9 inch super cheesecake. Mix all and pat into pie plates. Chill in refrigerator while you are making layer 1. Preheat oven to 350 degrees. 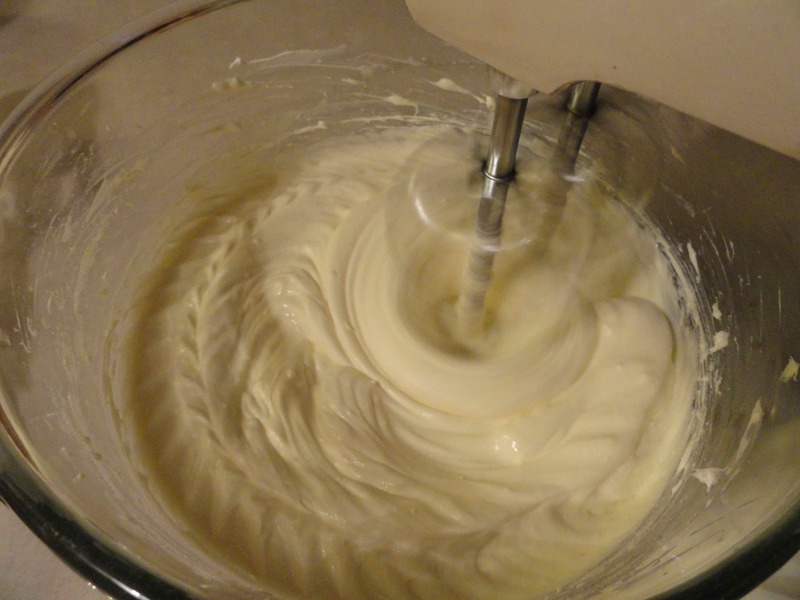 In mixing bowl, beat eggs lightly, add cream cheese and beat on medium for about 1 minute. Add sugar and vanilla and beat for another 1 to 2 minutes. Pour into crust and bake for 35 minutes. 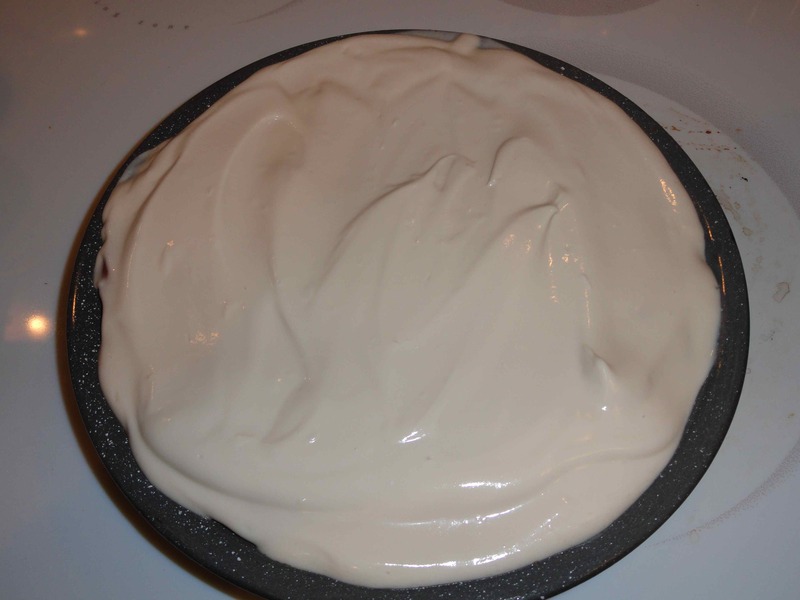 It will puff up, so let it cool on the counter for about 10 minutes before trying to add the next layer. Mix with a spoon and spread on top of layer 1. Bake for 10 more minutes. Let cool completely before adding topping.